Cissy Houston has a few words, and a few more, for Bobby Brown. 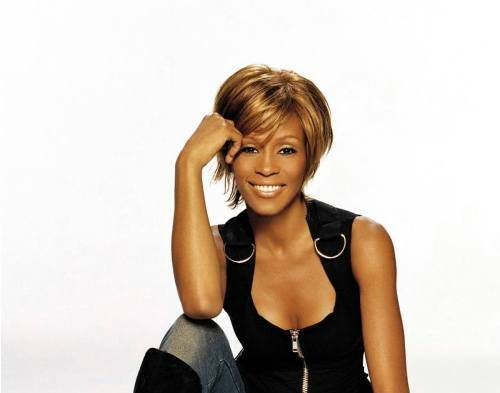 "Remembering Whitney" came out Tuesday, two weeks short of the first anniversary of Houston's death. She drowned in a hotel bathtub in Beverly Hills, California, at age 48. Authorities said her death was complicated by cocaine use and heart disease. During a recent telephone interview, Houston said she has no contact with Brown and didn't see any reason to, not even concerning her granddaughter, Bobbi Kristina. She reaffirmed her comments in the book that Whitney Houston would have been better off without him. "How would you like it if he had anything to do with your daughter?" she asked. A request to Brown's publicist for comment was not immediately returned Monday. "In my darkest moments, I wonder whether Nippy loved me," she writes. "She always told me she did. But you know, she didn't call me much. She didn't come see me as much as I hoped she would." Brown is portrayed as childish and impulsive, hot tempered and jealous of his wife's success. Cissy Houston describes a 1997 incident when Whitney sustained a "deep cut" on her face while on a yacht with Brown in the Mediterranean. Whitney insisted it was an accident; Brown had slammed his hand on a table, breaking a plate. A piece of china flew up and hit Whitney, requiring surgery to cover any possible scar. For years, Whitney's drug problems had been only a rumor to her mother, who writes that concerns expressed by record executive Clive Davis were kept from her by her daughter and others. But by 2005 she had seen the worst. Houston remembers a horrifying visit to the Atlanta home of Brown and Houston, where the walls and doors were spray-painted with "big glaring eyes and strange faces." Whitney's face had been cut out from a framed family picture, an image Cissy Houston found "beyond disturbing." The next time Houston came to the house, she was joined by two sheriff's deputies who helped her take Whitney to the hospital. Brown and Whitney Houston divorced in 2007, after 15 years of marriage. When she learned that her daughter was leaving Brown, Cissy Houston was "extremely relieved" and "thanking God so much I'm sure nobody else could get a prayer in to Him." Houston has no doubt that if Whitney were alive she would still be singing and making records. Houston said during her interview that she has seen "Sparkle," a remake of the 1970s movie that came out last summer and featured Whitney as the mother of a singing group struggling with addiction. Although Cissy Houston doesn't like movies about "drugs and all that kind of stuff," she was impressed by "Sparkle." The book, too, was painful and her grief continues. She writes that sometimes she hears a doorbell ring and thinks it's Whitney, or sees a vase in a different place and wonders if her daughter is around. Some nights, Cissy Houston wakes up crying, not sure at first where she is.